The evangelism project has become established in supporting local Christians to share the gospel. One method they use is the ‘Jesus film’ showing to perhaps 500 or more people using video projectors. The Raven Trust is providing the equipment for this work. 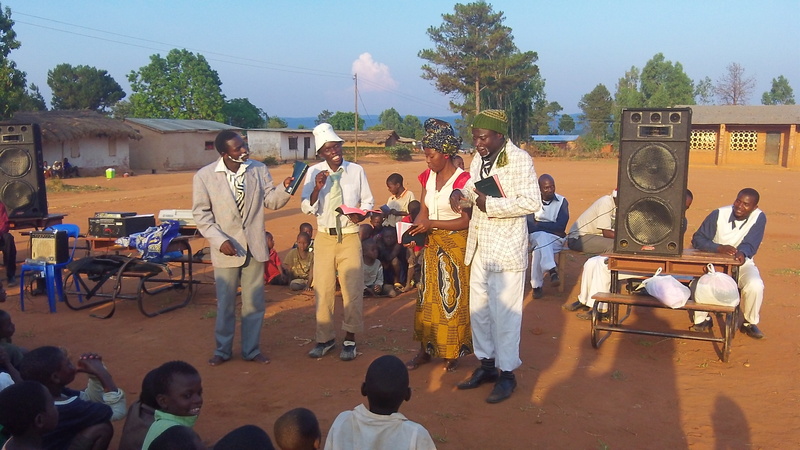 Secondly we are encouraging street evangelism and the Malawians have established the Mzuzu Evangelistic Association to undertake music, drama, storytelling and sport. Many have become Christians through this – even in this its early days of ministry. 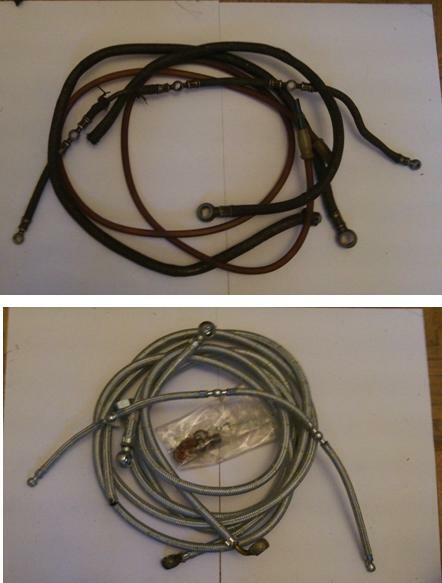 Just a example of how the Raven Trust provides replacement or new parts for machinery in Malawi. These uninteresting yet vital pipes are the fuellines for the emergency power diesel generator at Embangweni Hospital. New ones are not available in Malawi yet could be obtained in the UK. Thank you John Watt of McDuff Shipyard for your assistance. Ben Mhango, our local engineer will fit these pipes once they arrive early in the New Year. On a very wet and stormy day our intrepid team of volunteers loaded FCL 77 with 1226 boxes of hospital supplies, educational supplies, clothes, bedding, tools and household goods. 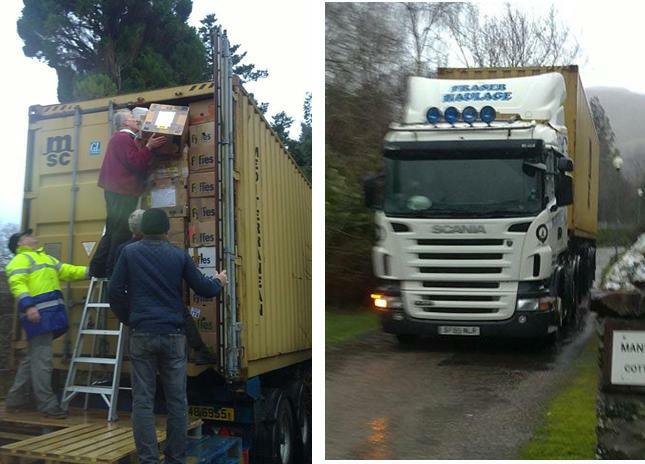 Just after 2 pm, the container set off for Greenock on the first stage of its journey to Malawi so that the lorry could get over the Rest and Be Thankful before the road closed at 4 pm. Our thanks to our volunteers – you are a great bunch and we hope you have all warmed up now. Thanks also to those who keep the volunteers going with supplies of pancakes, cheese scones, hot soup and filled rolls. Bon voyage FCL 77. We pray that your contents will prove a blessing to those who receive them in Malawi.